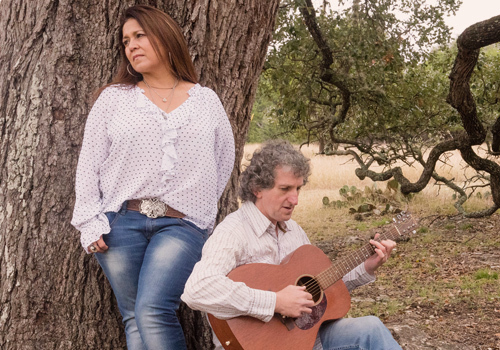 What happens when the lives of an Irish trad musician and a Texas nurse collide? 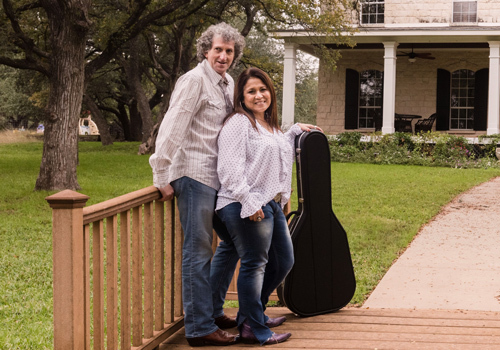 Tommy and Saundra’s paths crossed when she attended an annual traditional Irish music retreat in Midlothian, Texas, where Tommy was an Irish guest instructor on guitar and vocals. 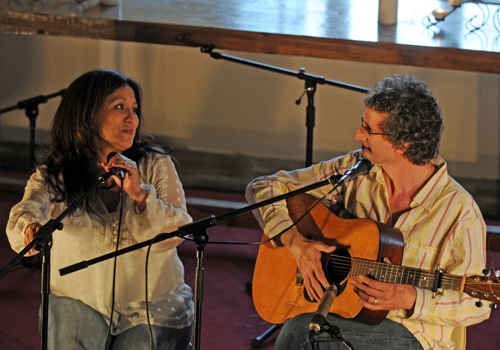 As they explored singing together, they discovered her alto harmonies to be a perfect match to his tenor vocals. 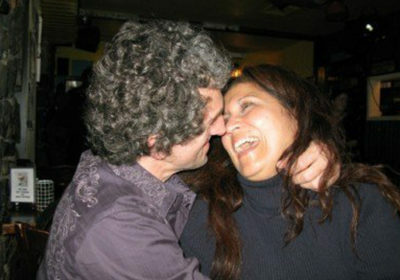 They married in Houston, Texas, in March 2010 and now live in Dingle, Ireland. In 2011, they opened O’Sullivan’s Courthouse Pub, in Dingle which has gained a reputation for world class traditional Irish music. In 2015, National Geographic cited O’Sullivan’s Courthouse Pub as the go to pub for traditional Irish music on Ireland’s Wild Atlantic Way. 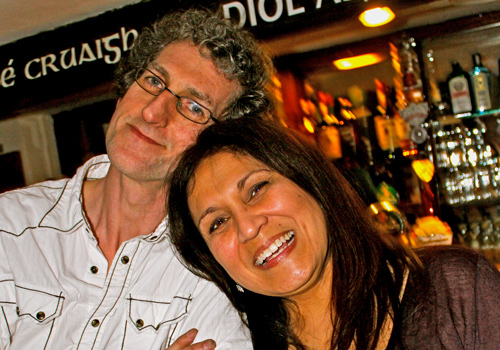 Prior to opening O’Sullivan’s Courthouse Pub, Tommy was a fulltime touring musician. As a member of Sliabh Notes he recorded 3 albums. He also toured for years with Irish piper Paddy Keenan with whom he recorded a duet album, The Long Grazing Acre. He has also recorded two solo albums, Song Ablaze and Legacy. In contrast, Saundra followed a career in the medical profession. As a flight nurse, she flew with Aer Evac and worked as an ER nurse at Hermann Memorial Hospital in Houston. She brings to the table a strong background in choir and folk singing. 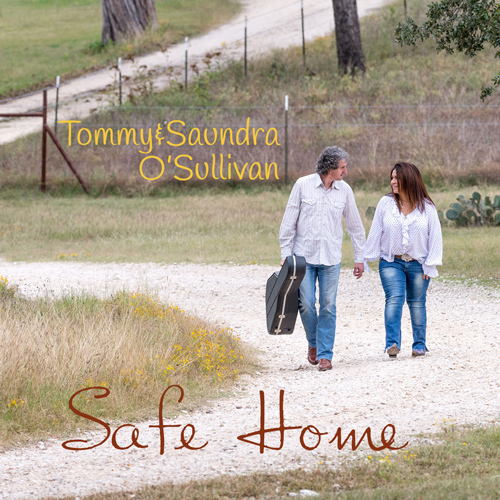 These skills are heard to great effect on their first duet album, Safe Home, which they released in early 2018 with album launches on both sides of the Atlantic. The husband and wife team from Dingle must surely be the best exponents of what Irish folk should be. Travel through Southwest Ireland with Tommy and Saundra in 2019. Contact Us to inquire.